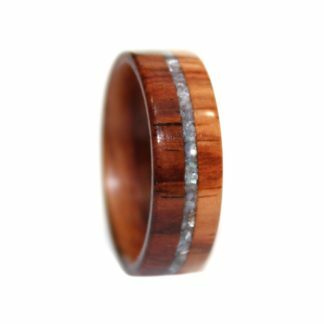 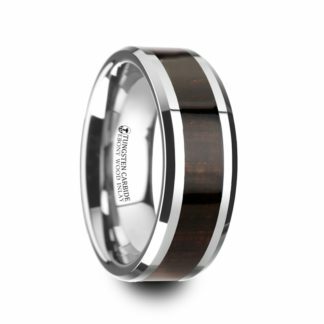 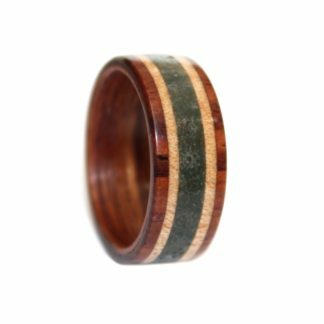 Stunning 9 mm Bentwood Ring featuring Honduras Rosewood Sleeve, Crushed Agate Inlay, with Dual Sugar Maple Inlays complete with comfort fit styling. 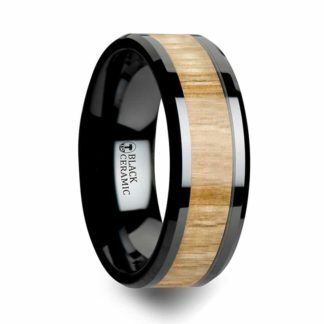 No two rings are the same in that each will have its original living (organic) features. 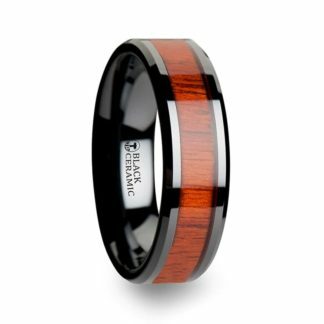 This model is protected with a special wood sealer so that it is safe to wear in the water – making it extremely durable. 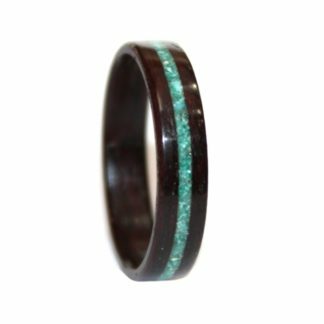 This ring can be custom crafted in 5 mm – 12 mm widths – please indicate your preference in the Order Notes should you want a width other than the one listed.